Orient East at Seasons Botanic Gardens opened in 2013, offering Melbourne’s residents and visitors a chance to experience a new style of Malaysian cuisine. When envisioning the brand direction for Orient East, owner Li Teoh draw upon her hometown of Penang, a beautiful historic city with a rich cuisine to match. Drawing influences from the British, Thai, Indonesian and Nyonya population (Chinese settlers from the fifteenth century), it’s easy to see why food lovers from the world over are drawn to Penang’s food. 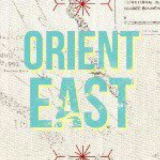 Orient East vibrant menu is reflective of the melting pot that is Penang, offering an exciting medley of old school Malaysian favourites combined with Teoh’s creative take on classics.